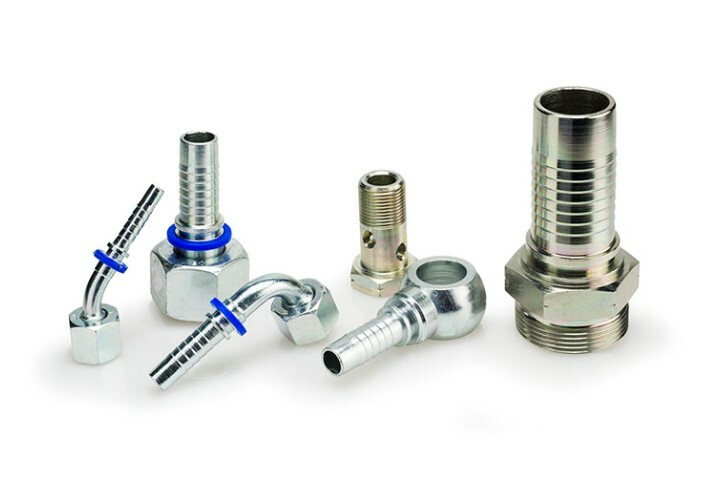 The well known interlock fittings for heavy duty applications. 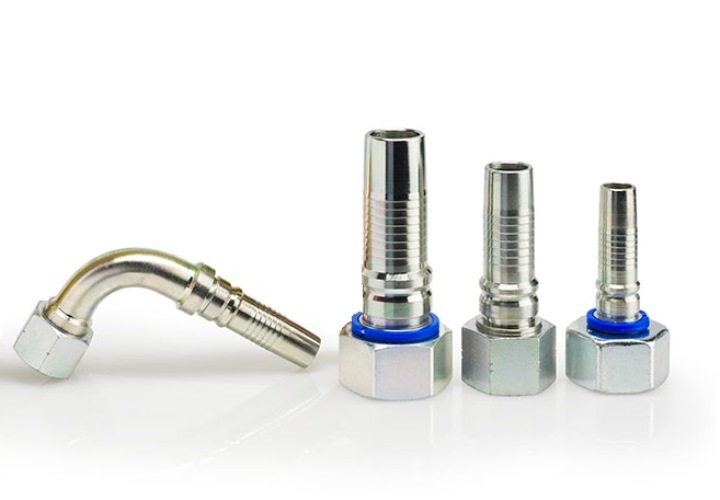 With this type of fitting the hose is always inside and outside skived. 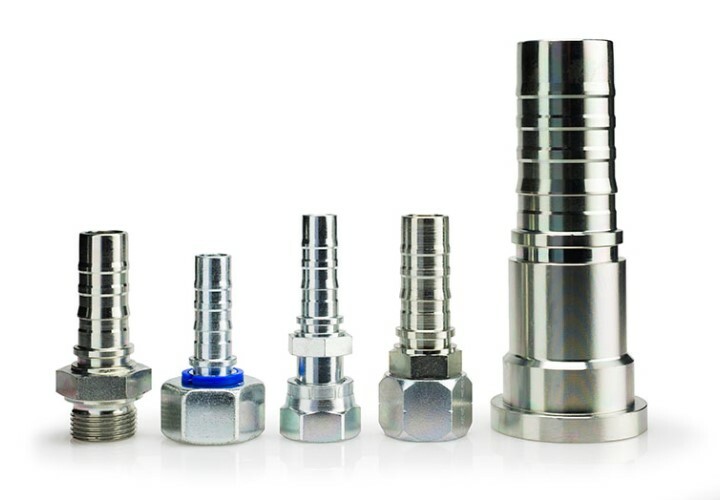 This allows both the fitting and the ferrule to be swaged directly to the steel reinforcements. This profile can only be used with spiral reinforced hoses.